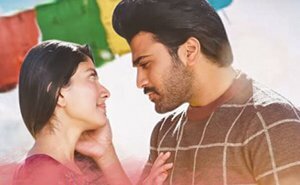 Young hero Sharwanand and happening beauty Sai Pallavi joined their hands for a breezy romantic entertainer ‘Padi Padi Leche Manasu’. The promotional material such as teasers, posters even the songs also received a thumping response from the audience. Hanu Raghavapudi helmed this project. Ending the long wait, the movie has finally hit the screens today on December 21st, 2019. The movie unit is super confident about the outcome of the film. 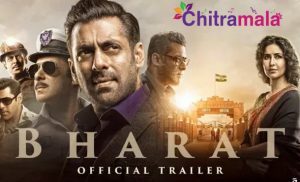 Let’s see how far the film succeeded in reaching the expectations. Surya (Sharwanand) loves Vaishali (Sai Pallavi) so much and so is Vaishali. Both decides to take their relationship forward but in no time, Surya announces a breakup and gives no reason. Why did he take such decision? What happens in the end? How did both get United again? Forms the story of the movie. Sharwanand looked extremely handsome. He sported a different look in this movie and looked nice. He is lovable in his role and the way he has lived that character is simply superb. Sai Pallavi is the heart and soul of the film. She looked extremely beautiful in the film. The chemistry between Sharwa and Sai Pallavi is undoubtedly the major highlight and the driving factors of the film. It is an eye feast to watch the due actors together. Murali Sharma justified his role well. But she did a decent job in essaying her role. Vennela Kishore got a meaty role in the film. He will definitely impress the audience with his performance. He will definitely evoke some good laughs in the theatres. Sunil got an interesting role in the film and he delivered his best performance. The production values by SLV Cinemas are super rich. The entire movie runs in the backdrop of Kolkata and it is an absolute delight to watch the chemistry between them. The beautiful backdrop added more beauty to the film and the credit goes to Cinematographer Jay Kay. Music by Vishal Chandrasekhar is pleasant and classy. A couple of songs have already become chartbusters. The background score is also breathtaking. The runtime is crisp. Editing by Sreekar Prasad is decent. Director Hanu Raghavapudi has penned an interesting and engaging story for the film. He has once again proved that he has a unique style in handling love stories and he never fails to grab the attention with the chemistry between the lead pair in his movies. The first half of the movie is completely impressive and lives up to the Expectations. The second half of the movie is completely disappointing. The Conflict in the film is not so engaging. The director introduces one conflict but then discusses some other thing because of which, the movie appears slow and boring. The movie is worth a watch for the performances, music, and the visuals. On the whole, the movie is .one time watchable.